Acceptable oral health, throughout life, is the retention of a functional, esthetic, natural dentition of not less than 20 teeth and not requiring recourse to prostheses. This implies that adult patients have adequate oral functionality when the posterior-most teeth are the second premolars. 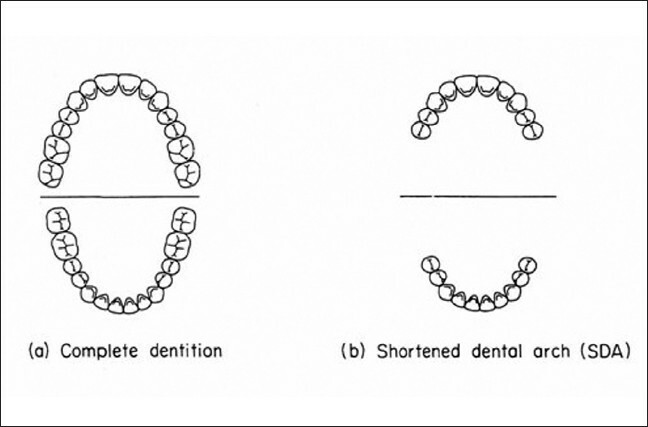 The concept of the shortened but functional dental arch addresses this issue, and the literature indicates that the Shortened Dental Arch (SDA) does not contradict current occlusal theories, while offering some important advantages. In particular, the SDA protocol decreases the emphasis on restorative treatments for the posterior regions of the mouth. It, thus, avoids the risk of over-treatment of the patient, while still providing a high standard of care and minimizing cost. Routine surgical procedure for the placement of dental implants involves the reflection of a mucoperiosteal flap, thereby exposing vital and viable bone to the external environment. This practice of reflection of flap has evolved from periodontal and surgical procedures involving treatment of osseous defects and fractures, treatment of tumors, removal of impacted tooth, or fragments or other pathologies. Many authors have consistently reported resorption of the bone following flap reflection. Therefore, when the highly successful treatment modality of replacement of tooth with a biocompatible dental implant-supported prosthesis is to be planned, maximum attention should be focused on minimizing the trauma to the supporting bone and surrounding soft tissues. 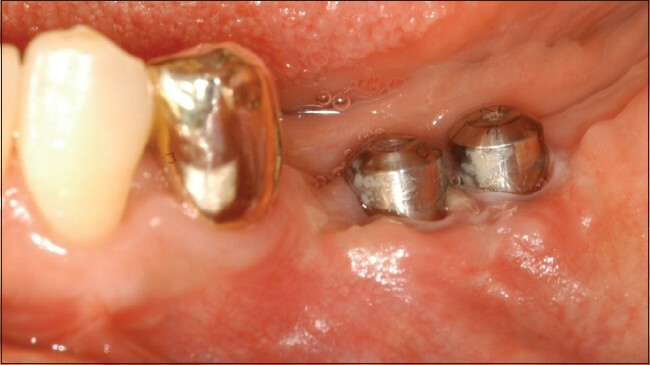 This article reviews one approach of implant placement with this requirement in mind, i.e. 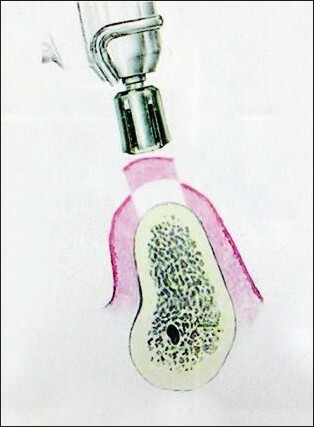 the placement of implants without the elevation of a mucoperiosteal flap, or so called flapless implant surgery. Background : Acrylic maxillofacial prosthesis made in our country fades quickly, and the effect of stains on polymer has not been documented yet. Aim :To find out a stain material that can retain its color in acrylic for a long period, by assessing its chemical interaction with the parent material. Materials and Methods : Wax cubes (2 cm x 2 cm) were made, flasked and dewaxed. The dewaxed mold was packed with stained heat cure acrylic resin (Acrylan-H). To the monomer the following stains were added - stains used for fabric painting, glass paint, acrylic emulsion, cotton dye, and hosiery dye. They were grouped into II, III, IV, V and VI, respectively. Group I, without stain, was control. Scrapings were taken from each group and subjected to infrared spectroscopy. Results : The spectrograph of glass paint, acrylic emulsion, and hosiery dye showed changes, while stains used for fabric painting and cotton dye did not produce much change in the spectrograph. Conclusion : Glass paint, acrylic emulsion and hosiery dye belong to the organic group of dyes, while stains used for fabric painting and cotton dye belong to group of inorganic dyes. As inorganic dye can retain the shade for a longer period, it is better to use an inorganic group of dyes. Background : Marginal discrepancies in implant-supported prosthesis are inevitable, despite careful waxing, investing, and casting procedures. The choice of metal also affects these discrepancies. Materials and Methods : A total of 48 frameworks were fabricated: 16 made with the Burn-out Coping (group 1), 16 made with Impression Coping (group 2) and 16 with conventional wax-up technique (group 3). Each group was divided into two subgroups, based on the metal alloy used. Eight of the specimens in each group were fabricated with noble alloy (Begostar, Bego, Bremen, Germany) (groups 1n, 2n and 3n) and the other eight with base metal alloy (Verabond 2, Albadent, Cordelia, California) (groups 1b, 2b, and 3b). All specimens were waxed on the analogue abutments and cast. After fixing and embedding, the specimens were sectioned and prepared for scanning electron microscope (SEM) evaluation. Frameworks were analyzed for vertical and horizontal discrepancies with ×200 magnifications. Data were analyzed statistically by multivariate analysis and post hoc tests (α=0.05). Results : The vertical discrepancy measurements for noble groups (1n, 2n and 3n) were significantly less than those of the base metal alloy groups (1b, 2b and 3b) ( P <.001), whereas horizontal discrepancies were significantly greater in noble groups ( P <.001). Although the differences in interfacial gaps were not statistically significant in all the three fabrication techniques ( P >.05), waxing the frameworks with impression copings significantly increased the horizontal discrepancy at the interfaces (groups 2n and 2b) ( P <.001). Conclusions : Vertical discrepancies of the frameworks made with proposed techniques were comparable with each other. Noble alloy frameworks produced more horizontal and less vertical discrepancies. Glass ionomer cement is commonly used as a luting cement, owing to its excellent bond to tooth structure and metal, strength, radiopacity and handling properties. However, contamination with water or saliva is considered to be an important clinical problem with glass-ionomer cements, affecting the properties of the material. This article describes a simple method to protect crown margins from moisture, during cementation with petroleum jelly. Background : While literature demonstrates that the optimum accuracy is obtained with the custom trays, the use of stock trays for elastomeric impressions appears to be popular in general practice. Objective : This in vitro study was done to evaluate the linear dimensional accuracy of impression made in stock trays and custom trays, using polyvinyl siloxanes. Material and Methods : The different impressions technique of polyvinyl siloxanes utilized in this study are as follows: 1) Putty wash 2-step technique with polyethylene spacer using stock tray. 2) Single mix technique utilizing medium viscosity in a custom tray. 3) Multiple mix technique utilizing heavy viscosity and low viscosity combination in a custom tray. 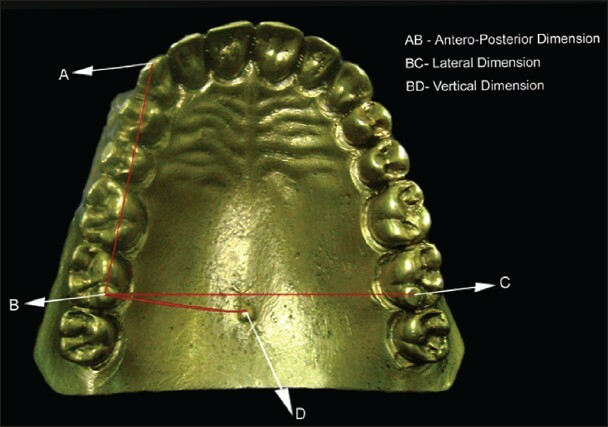 For each technique, 10 impressions of a maxillary dentulous metal master model were made. The accuracy was assessed by measuring the three dimensions on stone casts poured from impressions of the master model. Results : One-way analysis of variance showed statistically insignificant difference among the three different impression techniques for the different dimensions. Conclusion : Making custom tray is time consuming and costly; therefore putty wash 2-step technique with controlled bulk in stock tray can be used as an alternative to provide accurate impressions, as obtained from custom trays. Drifting of teeth into the edentulous area may reduce the available pontic space; whereas a diastema existing before an extraction may result in excessive mesio-distal width to the pontic space. Although rarely used, loop connectors are sometimes required to address this problem of excessive mesio-distal width pontic space. The loop may be cast from sprue wax that is circular in cross section or shaped from platinum-gold-palladium (Pt-Au-Pd) alloy wire. Loop connectors offer a simple solution to the above mentioned dilemma, involving an anterior edentulous space albeit with the maintenance of the diastema. 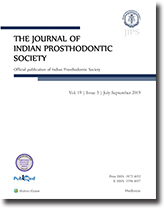 This article describes the procedure for the fabrication of a loop connector fixed partial denture to restore an excessively wide anterior edentulous space in a patient with existing spacing between all the maxillary anterior teeth. 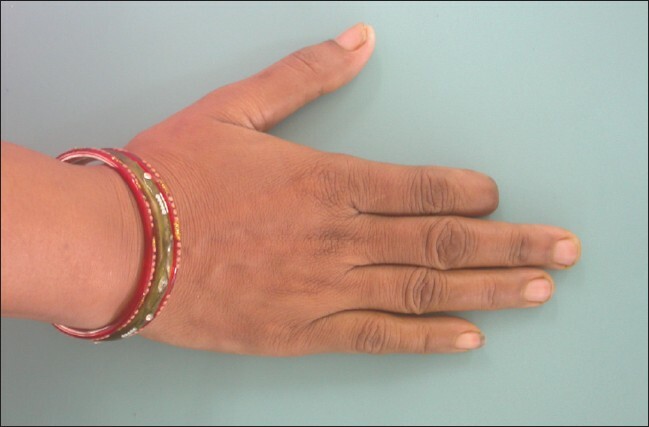 Finger and partial finger amputations are some of the most frequently encountered forms of partial hand loss. The most common causes of these amputations are trauma, congenital absence or malformations. All of these may present similar clinical challenges. Maxillofacial Prosthodontics is an art and science which provides a lifelike appearance to the lost structures of the patient. Prosthetic restoration is usually considered difficult for the whole or a part of the finger and it worsens if multiple fingers are involved. Conventional semi-custom finger prosthesis centrally fabricated of polyvinyl-chloride is often rejected due to poor aesthetics and the tendency to stain. Rejection is frustrating to the patient as well as the prosthodontist. A case report has been presented, where a custom made glove type prosthesis, comfortable in use and aesthetically acceptable to the patient was fabricated using Silicon Elastomers. 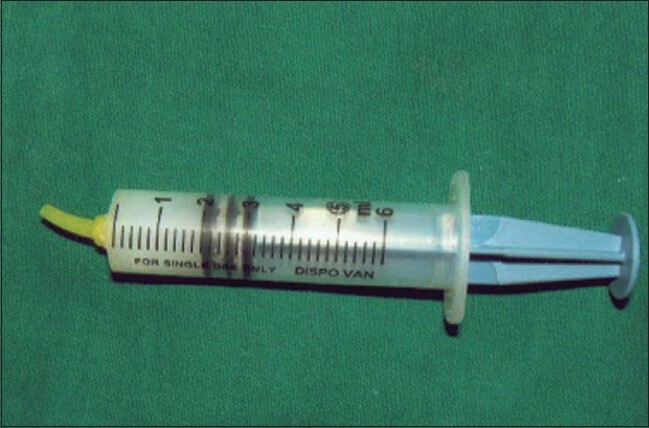 The need for keratinized tissue around endosseous implants is a controversial topic. The rationale for augmenting the keratinized tissue includes making plaque control more effective, dissipating muscular and frenal pull and possibly preventing further recession. 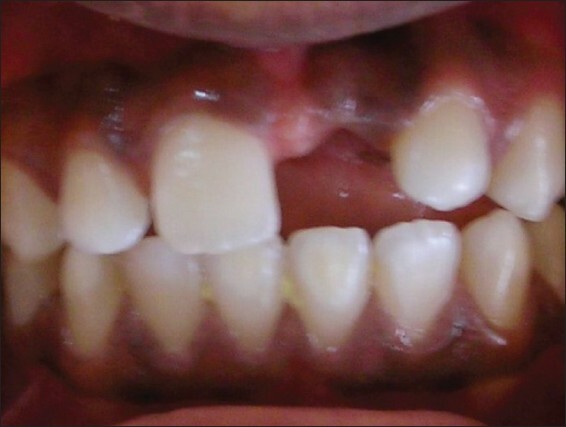 In this case report, free gingival graft was used to overcome the patient's discomfort. 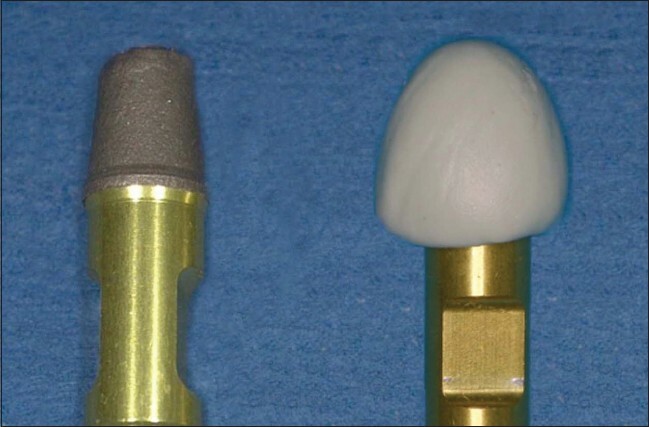 The increase of keratinized tissue improved the condition of the peri-implant marginal tissue. This procedure appears to show benefits for oral hygiene, even though certain amount of shrinkage is seen both horizontally and vertically. 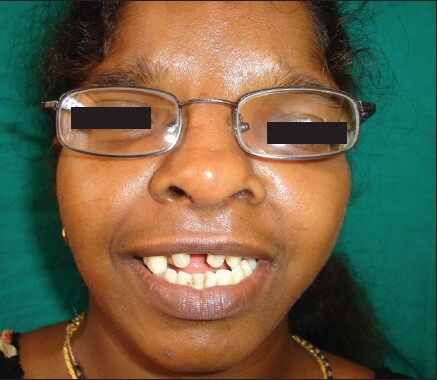 Crouzon syndrome causes anodontia and hypodontia intraorally, in addition to other symptoms. Partial or total anodontia results in loss of function such as chewing, and affects aesthetics. Prosthodontic rehabilitation can be accomplished with fixed, overdenture, complete, or implant-retained prostheses. For rehabilitation, it is crucial to know the age, number and condition of the present teeth, and the state of growth of the patient. A 21-year-old female patient, who visited our institution, was treated by a multi-disciplinary team of surgeons, endodontist, and prosthodontists. Combined denture (combined fixed-removable tooth replacement) was considered for correcting the angulation and cross bite of maxillary remaining teeth.